Oh my yum. 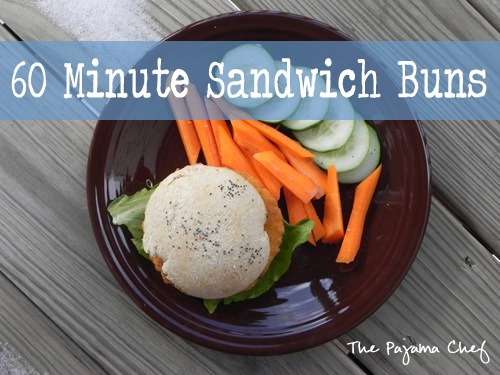 These are the best sandwich buns I have ever made!! They are soft and fluffy, but substantial enough to hold drippy, savory, spicy pulled pork [watch for this recipe coming soon!] 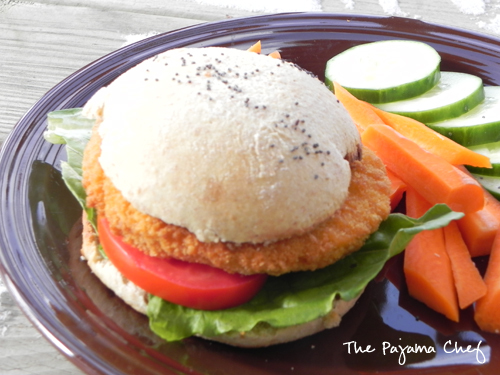 or even a store-bought chicken patty, just like you enjoyed at lunch in 5th grade [gasp! My guilty pleasure, purchased by my sweet husband as I freak out about finishing my thesis.]. For this batch, I used about 1/3 whole wheat flour, but plan to try to increase that gradually as I make them in the future for even more of a nutty, hearty sandwich bun. And you know what’s awesome about these sandwich buns? They come together so quickly that they are totally do-able on a weeknight so you don’t have to suffer through tasteless, dry, papery store-bought buns, thanks to an abundance of yeast [fyi this is NOT a packet of yeast, but 2 tablespoons]. No sireebob. You can even make these while writing a master’s thesis, they’re that easy. I’m definitely gonna be making them again soon and think you should too… even if you’re scared of yeast. Just pay attention to the measurements and the temperature of the water. And use fresh yeast… that is VIP! In the bowl of a stand mixer, dissolve the yeast in warm water. Pour in 1/3 cup oil and sugar, then stir and let rest for 5 minutes. Add egg, salt, whole wheat flour, 2 cups bread flour, and vital wheat gluten. Using the dough hook, let mixer knead the mixture on medium speed for 3-5 minutes until a soft dough is formed. Add up to 1/2 cup more flour if the dough seems too wet or sticky. Next, immediately divide dough into 8 pieces. The best way to go about this is to divide dough in half, then divide each piece in half again [making 4 pieces total], then divide each of those pieces in half again. Roll into a ball, then place 3 inches apart on greased or lined [with parchment paper/Silpat] baking sheets. Brush with oil and sprinkle with poppy seeds. Cover with a damp towel and let rise for 30 minutes. Meanwhile, preheat oven to 425 degrees. After dough is finished rising, bake for 8-12 minutes or until golden brown. Remove to cooling racks until cool. Store in covered container for up to a week. yes, definitely. they are so worth trying! Wow, these look so beautiful! I can’t believe you made them! I so need to try my own! thanks sues! they turn out so well everytime! haha yes, i agree! 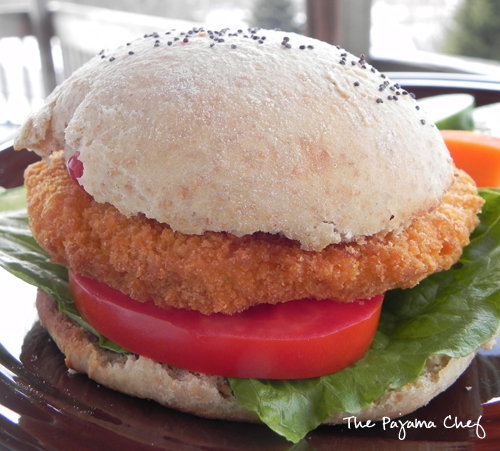 and if anything can class up frozen chicken patties then i think homemade buns would be it! They do sound super easy and they look great! I agree with you on not having liked too many recipes before but, if you say this is a keeper than I must try it!! These sound great. I love the idea of making my own homemade buns and actually knowing the ingredients that go into them. Great recipe :). Look at these buns! They look awesome, girly!